There are many different strategic tools available for a firm which help them in decision making and deciding a way forward. One of them is SOAR analysis. 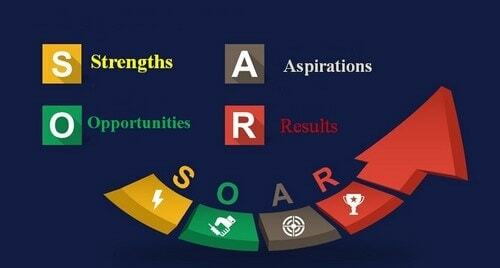 SOAR analysis stands for Strengths, Opportunities, Aspirations, and Results. As can be seen, SOAR analysis helps the firm in deciding various factors of the organizations, thereby helping the organization form a strategy. Not only does SOAR analysis help the firm recognizing their key strengths and opportunities, it also helps the firm in deciding its aspirations and results. This is why SOAR analysis looks at both – The present and the future and is helpful for the firm to move forward. The strengths and opportunities look at the present whereas aspirations and results look towards the future and pave a way forward for the organization. Soar analysis helps the firm in deciding the current situation the firm is in and also paves a way forward towards the future. Opportunities can help SOAR analysis decide the ways it can explore the market even further. 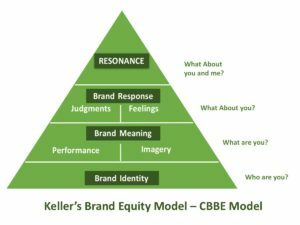 The SOAR model can help the firm look at themselves and ways they need to improve. SOAR model can also be used as a leadership development initiative as well as a personal analysis platform. It helps not only companies but even individuals who plot SOAR analysis for themselves. SOAR Analysis is very scalable and can be adapted for organizations having multiple locations in multiple geographies. The strengths analysis various factors in the organization which are working right for the organization and which are the main USP’s of the organization. For example – If we analyze Coca-cola, then Branding is one major strength of Coca-cola. Similarly, distribution, the good number of employees, goodwill in the market are some other strengths of Coca-cola. Basically a look at all positives of the organization. The second step of SOAR analysis is to analyze the opportunities for the brand in the market. This is same as the third step of SWOT analysis. By analyzing the opportunities, the firm acknowledges that there are some current opportunities which can be explored by the organization and that is what the organization can immediately explore. Note – Opportunities can change as the organization grows. An example of an opportunity for any firm is – expanding the market to new geographies or targeting new market with new products. Similarly, launching new product variants, increasing branding and marketing are all examples of opportunities available to the firm. We all know that in strategy, mission and vision play an important role. This is because they help an organization know in advance what they want to achieve in the very long term. While mission might be short term – 4-5 years, vision is the very long term and is rarely changed. Similarly, there are aspirations for the firm, which are like the mission statement and can be changed from time to time but must be there at least for a short duration before they are achieved. Example – When Amazon started, back in 1994, its aspirations might be to become the largest books retailer in the United States. But as Amazon moved forward, it started expanding to other products as well as other geographies. Naturally, its aspirations changed over time. But the long-term vision of the company remained almost the same – “To be Earth’s most customer-centric company, where customers can find and discover anything they might want to buy online”. Point to be noted – Aspirations deal in the short term achievable wants of the firm and might include long-term wants of the firm as well. What do we care deeply about so that we would try to achieve it? What do we want to achieve for our business and where do we want to see it? What benefits can we bring to our customers so that our customers are happy? What does our future look like currently and how do we want to change that? To understand results in SOAR analysis, you should look at the article on SMART goals. The article tells us that all results should be specific, measurable, achievable, relevant and time-related. Same way, in SOAR model, you need to outline the ways to achieve a result and what will be the typical factors which will show that the result has been achieved. Example – Google decides that it wants even further market penetration and wants more users on board its platform. This is an aspiration of google. How will google convert this into results? It can launch Gmail and attract 100 million users. Then it can launch google maps and attract even more users. Then it can launch Android OS and achieve its target result. Stating these results in advance and then observing whether they are achieved or not will give further strategic insight to the firm and will tell the firm whether they are on the right track or not. What are the statistics we need to track to measure our progress? What resources will be needed to achieve the results that we have stated. How do we change our aspirations to results to achieve our goals and define our strategy? Thus, the above questions, when answered, give a tangible results analysis for the firm. The SWOT analysis looks more at the overall business environment and various weaknesses as well as threats to the firm. The SOAR analysis on the other hand, has two common factors with the SWOT analysis – Strengths and opportunities. However, two things which are different then SWOT analysis are Aspirations and Results. This shows that SOAR analysis is more of an internal strategy exercise for the firm rather than looking out towards the business environment and making the strategy. 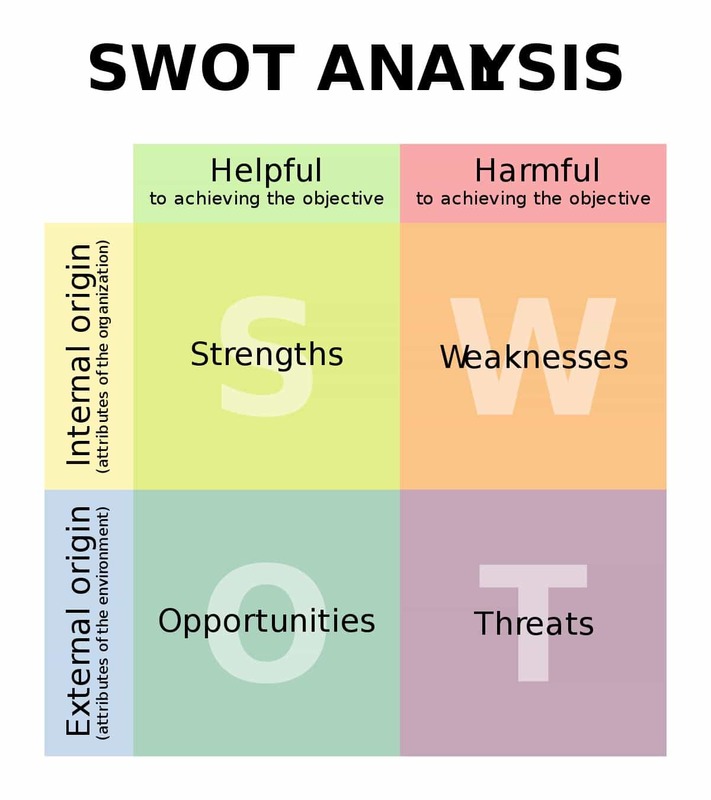 SWOT analysis is more commonly used for a firm in real markets. But if a firm wants to make a vision statement or a mission statement, then SOAR analysis can be very helpful. If you ask my personal opinion, SWOT is much more effective then SOAR analysis. The simple reason being, SWOT helps you notice your weaknesses. if an athlete wants to improve himself at a professional level, he cannot do that without understanding the weaknesses that he has. Similarly, SOAR analysis does not analyze the weakness or threats to a firm. These are actual action points for any firm. Hence, SWOT analysis can be rated more effective for a firm’s strategic analysis. 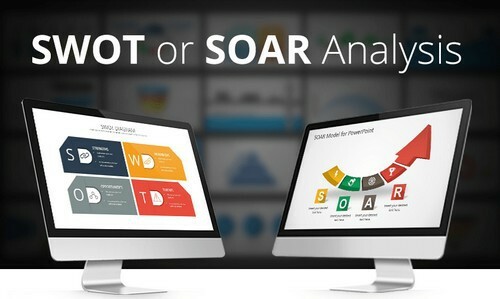 Team – Build a team which will help you with SOAR analysis. These can be managers of different verticals with different experiences and viewpoints. Creative – Use creative means to come up with the best ideas. Do not interfere with creativity during the initial stages. Have an open “no questions asked” session to come up with the best and most creative ideas in all 4 quadrants. Plot the ideas – Plot the ideas in one of the four quadrants – Strengths, opportunities, aspirations, and results. This ensures that you have the proper ideas and the proper concept and a rough SOAR analysis are ready. Prune – Edit the SOAR analysis so that you are left with the key SOAR factors and you can then come up with SMART goals to convert your aspirations into results looking at your strengths and opportunities. Delegate and Execute – Once the final SOAR analysis is ready, you need to delegate and make people responsible for each individual task in the SOAR analysis. Get the plans implemented properly. Track – Like the SWOT analysis, the SOAR analysis needs to be tracked at all times to determine whether the objectives are being achieved or not. If not, then the efforts need to be changed. If the objectives are being achieved, then new opportunities and new aspirations can be targeted.